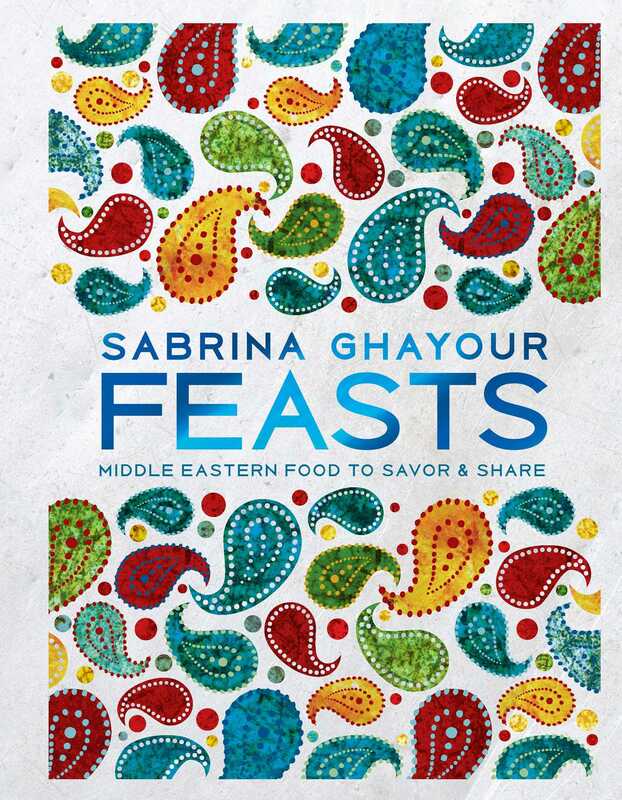 In Feasts, the highly-anticipated follow-up to the best-selling Persiana: Recipes from the Middle East and Beyond (2014) and Sirocco: Fabulous Flavors from the East (2016), award-winning chef Sabrina Ghayour presents a delicious array of authentic Middle Eastern dishes inspired by the celebratory feasts of her childhood in Iran but tailored to how we live and cook today. This beautifully photographed book features recipes accessible to home cooks everywhere. Feasts is a sumptuous celebration of Persian food featuring more than 90 sophisticated yet approachable recipes for breakfast and brunch, weeknights, weekends, summer meals, vegetarian dishes, festive occasions, and comfort food. The author, who teaches cooking, is an expert on Middle Eastern food, and her voice is authoritative but friendly, making the recipes very accessible even to the most inexperienced cook. Chapter intros brim with passion for her homeland’s culinary delights, and her recipe methods are easy to follow. The author also provides suggestions for complete menus. From finger foods, mezze dishes, entrees, sides, desserts, and drinks, Feasts is a mouthwatering tour of Persian food for today’s home cook. To make the crêpe batter, put the flour, salt, and eggs in a large mixing bowl. Combine the milk and water in a small pitcher, then blend the liquid into the flour mixture a little at a time, mixing well with either a fork or an electric mixer to beat out any lumps. Mix in 2 tablespoons of melted butter and the sugar, then transfer the mixture to a measuring pitcher and set aside. Set a heatproof plate over a pan of simmering water—you can keep the cooked crêpes warm by stacking them on this plate. Heat a 7-inch frying pan over medium-high heat. Drizzle in 1 teaspoon of the melted butter and tilt the pan to spread it around the base of the pan. Quickly pour in just enough crêpe batter to barely coat the base (you want a nice, thin crêpe, not a pancake) and tilt the pan to spread the batter evenly. Cook until the edges start to curl up, about 1 minute, then use a knife to tease the edge of the crêpes over to check if the underside is golden and, if so, flip the crêpe (use a spatula if you like) and cook until the underside is golden brown, a further 30 seconds or so. Transfer the crêpe to the warm plate and cover with parchment paper. Repeat with the remaining batter, adding 1 teaspoon melted butter to the pan each time. Keep the crêpes warm while you cook the topping. Put the superfine sugar in a shallow dish. Dip the 2 cut sides of each banana slice into the sugar to coat. Put 2 tablespoons of the butter into a large frying pan set over high heat. Add half the banana slices and fry until slightly caramelized, or no more than 1 minute on each side. Remove from the pan and repeat with the remaining 2 tablespoons butter and banana slices. To serve, place a few banana slices across half of each crêpe. Scatter over the pistachios and drizzle a little honey over each. Fold into quarters and serve immediately.